Learn how to make an image file from SD hard on Windows 10/8/7. The AOMEI Backupper provides you the easiest way to image file from SD card. SD card is a kind of storage device, and many users use it to store data. Part of them created bootable SD card. No matter where you store your data, it is always good to duplicate data so that once there are some bad things happen to your originals, you can restore it immediately. Different with backup SD card, image files from SD card should be a better way. How to make an image file from SD card on Windows? Clone your SD card should be the best way to make an image file from SD card. And here you can use AOMEI Backupper software to do it. AOMEI Backupper is a remarkable cloning software that suitable for Windows operating systems. You can use it to make an image file from SD card on Windows 10/8/7 by cloning SD card with its Disk Clone feature. 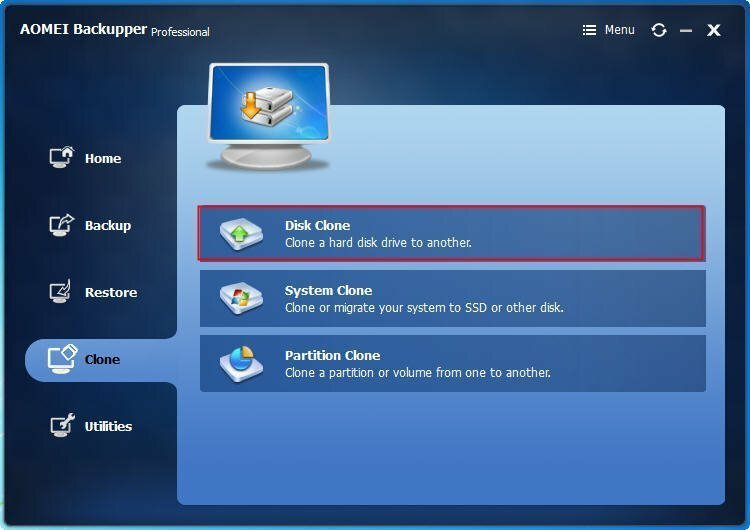 Connect your SD card to your computer, then, install and launch AOMEI Backupper, select Disk Clone under Clone tab and follow the prompt, you can finish the task easily. When you need, you can restore data from the image file with AOMEI Backupper.